Have you ever grown Gaura? If so, do you like it? Me, I had only grown the pink variety as an annual in our Minnesota climate, but this year I purchased white. 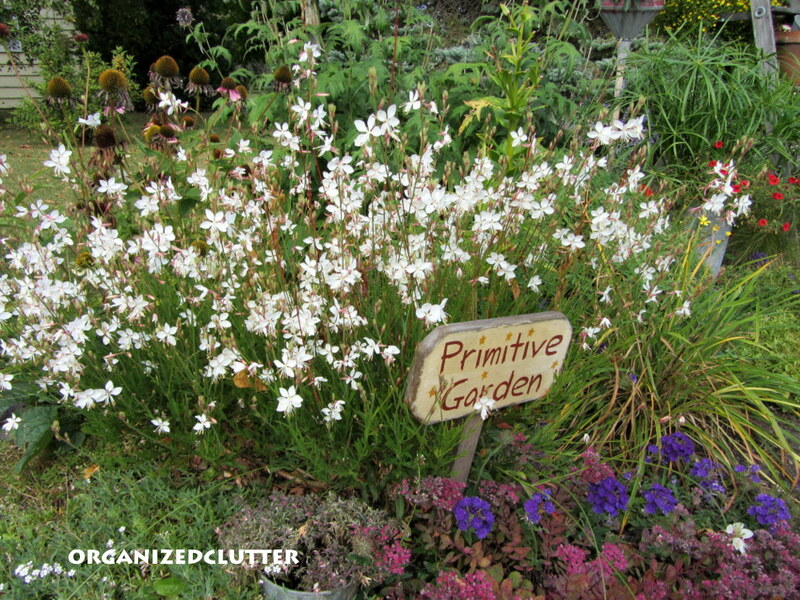 While Gaura is not one of the most beautiful flowers, I like the spiky and sprawling style of this plant mixed in with most of my mounding and branching border flowers. I have used it in my wheelbarrow planting in previous years. 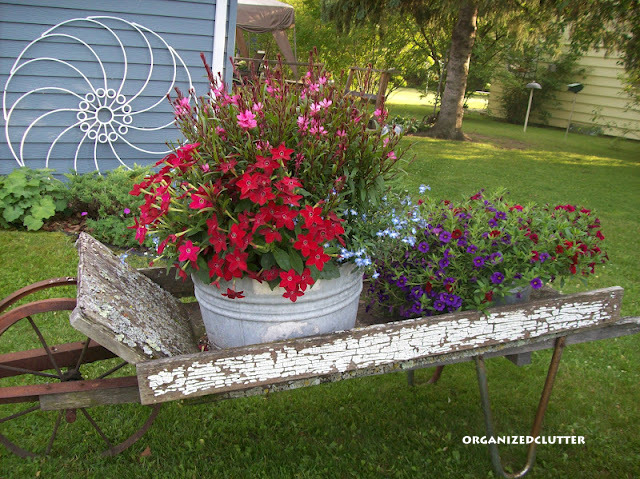 I liked it's spiky pink blossoms with red nicotiana and trailing lobelia in this washtub. This year I put the white gaura right in the front flower border. In this July border photo, it is right behind the "Primitive Garden" sign. It had grown but wasn't blooming. 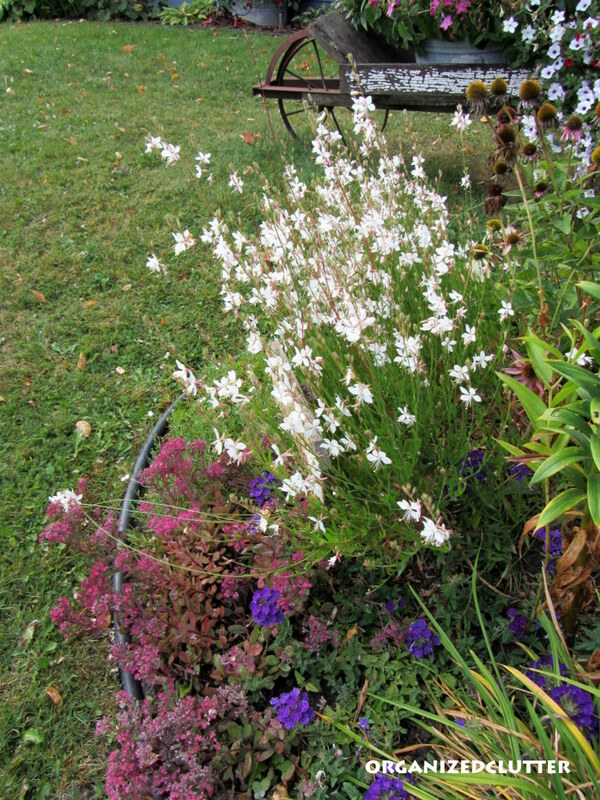 This is my white gaura yesterday. In full bloom. Not sure if the hot temps cut down on blooming or what. It would have been nice to enjoy this display ALL summer. 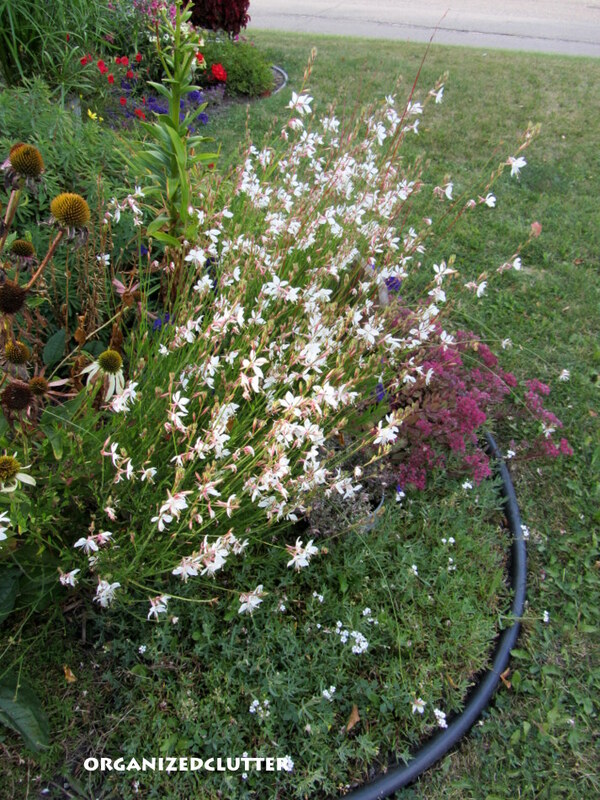 In front of the Gaura is a Vera Jamison sedum that has just started blooming. It's one of my favorite sedums. Here is a close up of the Vera Jamison sedum mixed in with purple verbena. 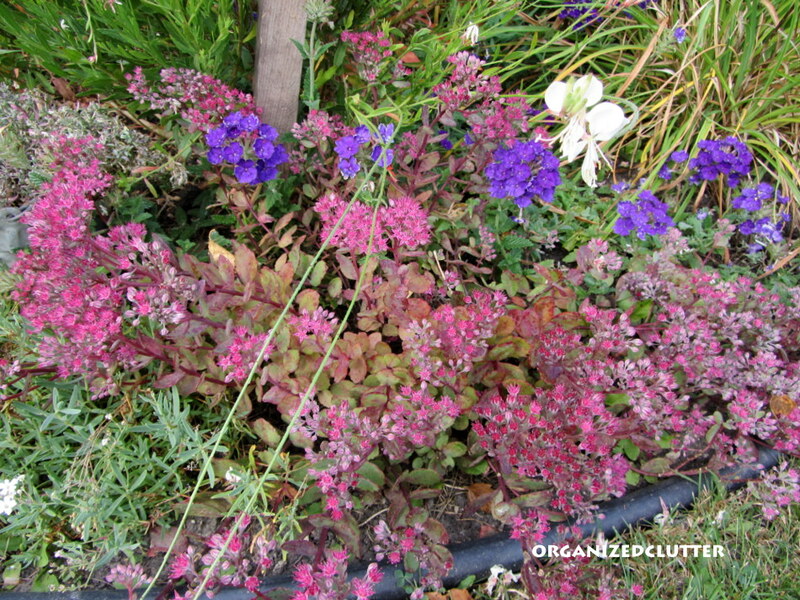 No frost yet, so the garden annuals bloom on! 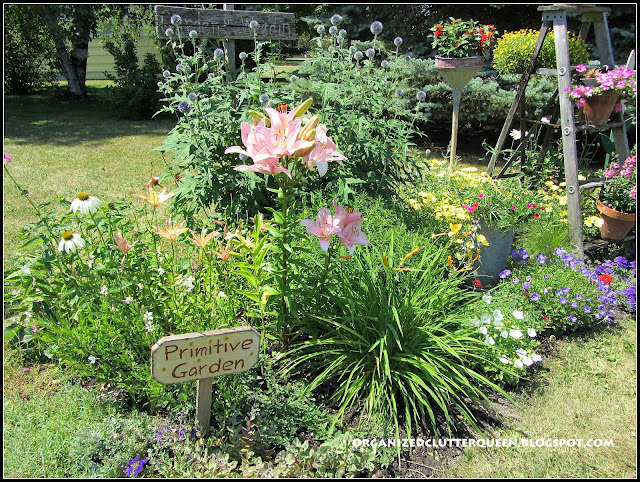 Carlene, I love, love, love your garden, especially since I've so neglected mine. That wheelbarrow is fantastic. What a great accent piece to the beauteous flowers! Enjoy while the weather holds. I'm enjoying your photographs! Pretty combination! It's nice to have something new blooming at this time of year. Carlene, I always enjoy looking at your post you have the prettiest flowers. No, I haven't and don't think I have ever seen Gaura, I do like yours,it's very pretty. Have never grown that flower but it is beautiful! All of the flowers look lovely! Your garden still looks lovely this late in the season. Love it Carlene! I have never planted it before. Not sure if I have even seen it at any of the nursuries. I will be looking for it next year. Love your wheelbarrow. Your garden is pure delight! Thanks for sharing with Share Your Cup.